You've spent tons of time (and money) on your website and created a strong presence on the web. Now you start to wonder when the site that you've poured your heart and soul into is going to start paying off. Joining affiliate programs and selling ad space is a great way to bring in some cash. The key is to run these programs properly. All too often people that are new to the web game think that they can throw together a simple webpage that is light on content, put it up on a free server, place a bunch of banner ads and pop-ups on it and the cash will just start pouring in. This couldn't be further from the truth. Starting to advertise via affiliate programs takes a lot of time, work, and experimentation. There is no easy formula to make it work. If you come across a program making promises that seem far fetched, it is probably a scam. 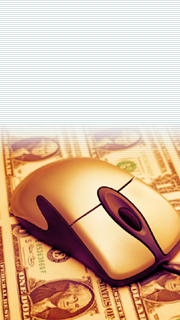 When first placing ads on their sites many people choose the programs with the highest payouts. While a high payout is good, it is not the most important thing to look for. You must also take into account click thru rates, click to lead conversion ratios, and most importantly, whether or not the ad's target audience is the same as that of your site. All too often when people design their websites they do not reserve an exclusive space that they plan to use for advertising. Do this beforehand! This way the ads will look like they belong on the site and not just something that was simply added as an afterthought. When first starting out many people believe that more banners is better. It is far more important to show one or two ads that convert well for you site than twenty different ones that pollute your site. DO NOT SPAM! Sending out mass unsolicited e-mails featuring your adds is one of the quickest ways to get kicked from the program. Opt-in newsletters are acceptable and convert very well if you have a strong e-mail base. If you have a very targeted audience, CPA (Cost Per Action) programs will probably work best for you. Since you already have a known demographic to whom you are showing your site, it will be easy to find high conversion programs to complement your site theme. Sites with low traffic levels will have a hard time trying to earn money off of pay per impression or pay per click programs; these programs rely on high traffic levels. If you don't have high traffic, they won't be very successful. If you are just starting out, it is very difficult to find advertisers on your own. The best thing to do is to go thru an affiliate network that acts like a broker or liaison between you and the advertisers. If you don't have a site that is well designed, features quality content, and has a decent amount of traffic, chances are you won't be successful selling advertising. Instead of initially spending all your time on revenue schemes, invest some solid time in developing your site! When initially designing and laying out your site, try to plan in advance where you are going to place ads. Always make sure that your site's content has priority over the ads you display. Use ads that fit well within your given audience. If you put an ad for online dating services on a website targeted at young children, I can guarantee that success rates will be low, if any. Whenever possible, make your ads not seem like ads...turn them into another feature on your site. Text ads can work particularly well for this and are not as annoying as large graphic ads. Before working on your advertising scheme, invest time in search engine placement and optimization. Experiment with different programs! Don't be discouraged when one does not work as well as you hoped. A key process in affiliate marketing is placing the ad and then evaluating how well it has done based on real world statistics. These stats are very easy to obtain as most affiliate networks feature very in-depth statistics. Do not plaster your site with banner ads. This will not work. All it will do is make your user leave and never come back. One or two banners should be the maximum. Use a banner ad rotation system so that you are not showing your users the same banners over and over again. Many affiliate networks feature these or if you are fairly web savvy you can create your own system. I hope that this article has helped. Please do not get discouraged and have fun! Affiliate marketing is a great way to make cash off of your site. Just realize that it takes time and commitment to run a successful program.